This Blueberry Shortcake is the perfectly light dessert for summer. 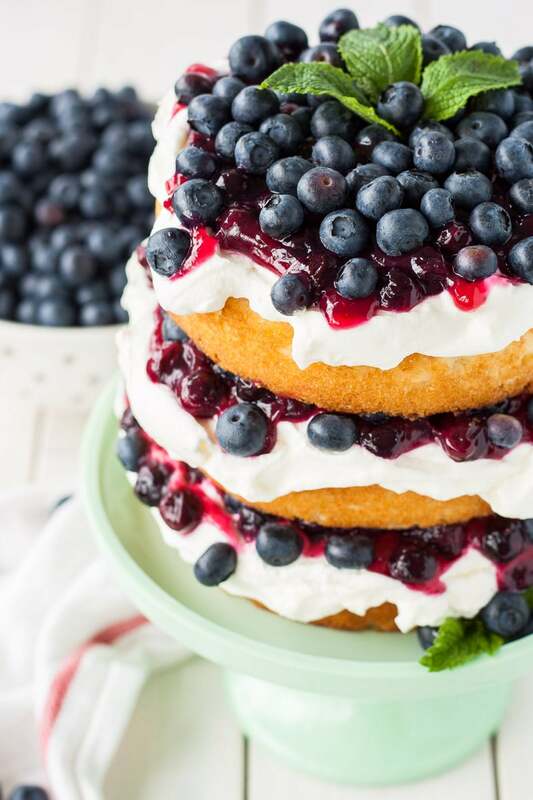 Layers of vanilla cake, whipped cream, blueberry sauce, and fresh blueberries. Summer is officially in full swing, though you’d never know it if you were living in Vancouver. We had a pretty intense heat wave a few weeks ago, but since then it’s felt more like fall than summer. I’m actually not complaining. Summer is my least favourite season *gasp*. Ryan thinks I’m legitimately crazy, but I find that summer has no redeeming qualities. If I lived somewhere where I had easy access to a pool or some crystal clean ocean water, then I’d be ALL over the hot weather. Otherwise, I’ll take my mild temps and overcast days. Crazy? Probably. If you’ve been following along with last week’s post, I’m unhappy to report there have been no new developments on the housing front. We went to an open house on Wednesday night thinking it would be less busy than the weekend ones…. We were at one yesterday that was less than an hour in, and there had already been 60+ people through it. It’s a huge turn off to see throngs of people at these things. Like, why even bother getting your hopes up on a place if you know you’re going to be competing with so many people. So unappealing. ANYhow, I’m sure you’re all just dying to know if we manage to get a place or end up homeless, so I’ll keep you posted. In the meantime, I’ll try to distract myself from the stress that is house-hunting with this dreamy Blueberry Shortcake. I don’t know if Blueberry Shortcake is actually a thing, but I feel like it should be. Same basic concept as a Strawberry Shortcake, except with blueberries. Seems reasonable to me. 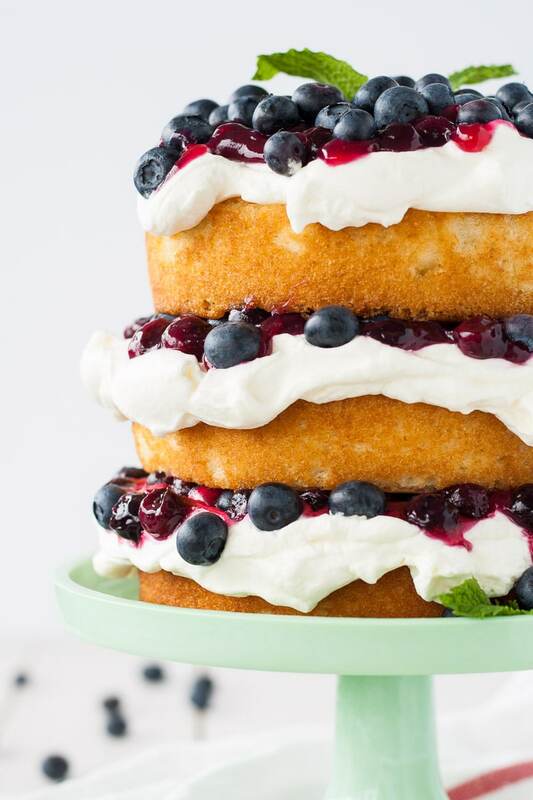 This Blueberry Shortcake is one of the easiest layer cakes you can make. It doesn’t take much time, and it tastes delicious. I used my standard vanilla cake recipe rather than doing the traditional sponge cake. Mostly due to laziness and the fact that I hate making sponge cakes. So much work! 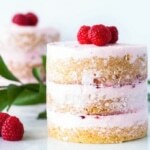 That means, though, that this cake is a bit heavier than a typical light shortcake. I don’t mind it, but if you’re a purist you’ll want to stick with a sponge. 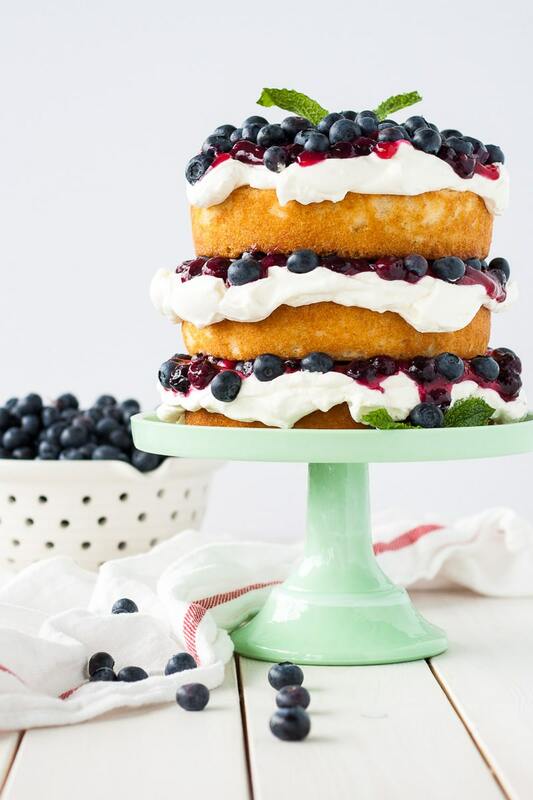 The blueberry sauce literally takes minutes to make — the longest part here is probably waiting for the sauce to cool so you can use it on the cake. I made my own whipped cream, but if you’re ultra lazy (no judgement), you can just use store bought or even Cool Whip (gasp!). I added some fresh blueberries as well, because I like the contrast of them with the blueberry sauce — not just for color, but for texture too. I made this cake for my dad for Father’s Day, and it did not last long. Four of us polished off half of it in one sitting and I’m sure the leftovers were gone before the evening was done! Due to the whipped cream, this cake will not keep very well. Ideally serve same day. You can use Cool Whip instead of whipped cream if you prefer. This should work just as well with any other kind of berries. 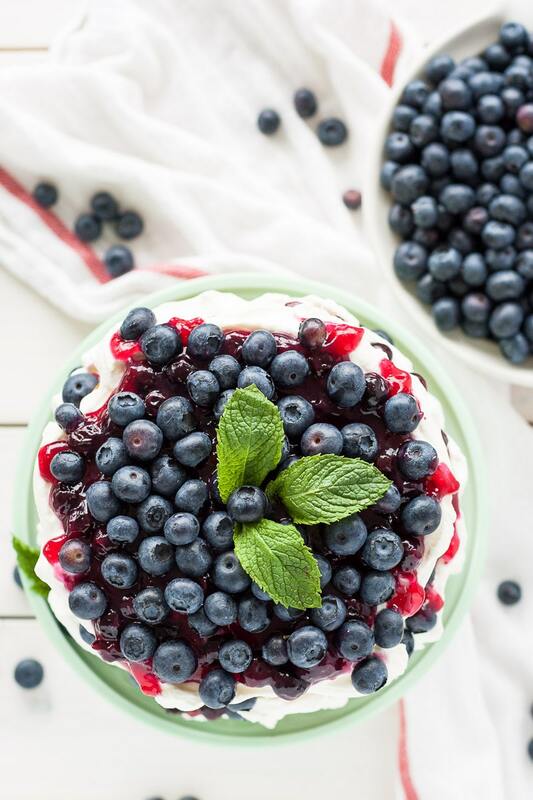 This blueberry shortcake is perfectly light dessert for summer. 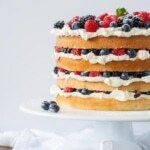 Layers of vanilla cake, whipped cream, blueberry sauce, and fresh blueberries. Combine blueberries, water, sugar and lemon juice in a medium saucepan. Bring to a low boil over medium heat. Cook foe 2 minutes, stirring occasionally being careful not to break the blueberries. Slowly add cornstarch slurry while stirring blueberries. Bring back to a boil and cook until thickened (30 - 60 seconds). Cool completely before using. If too thick, add some water to thin out. Place mixer bowl and whisk into the fridge to chill. Pour cold whipping cream and sugar into mixer bowl. Whip on high until stiff. 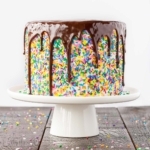 Place one layer of cake onto a cake stand or serving dish. Top with 1/3rd of the whipped cream then 1/3rd of the blueberry sauce. Sprinkle with 1/2 cup fresh blueberries. Repeat for remaining layers. Serve immediately or place in the fridge. Serve same day. Hello! 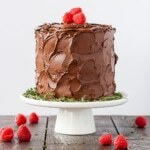 I´m a huge fan of your cakes and will finally come around to make one… I decided to bake this for my sisters birthday… WIll there be any problem if I bake the cakes on friday night and build it with the toppings on saturday? Hi Maria! No problem at all, just cover them with a dish towel or plastic wrap :). Please let me know how you like it! Hi Xing! If you use two 8″ pans the baking time should still be around 25-30 mins or so :). Hi Liv! I made this on Saturday and it was awesome and so beautiful! It was fairly easy and so delicious! You’ve inspired me to bake more cakes! 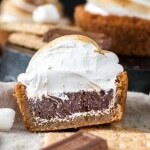 I’m pinning more of your recipes and can’t wait to try another one! For changing the pan size, still keep it at the same temperature. 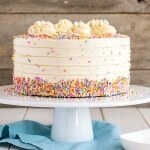 By 10×3, do you mean a 10″ round cake pan? Definitely trying this now that blueberries are so abundant here in the lower mainland. One question, where is that lovely green cake stand from? Hi Tracie! I actually got it at Homesense. It was a steal! That’s where I get most of my cake stuff :). This is so gorgeous! 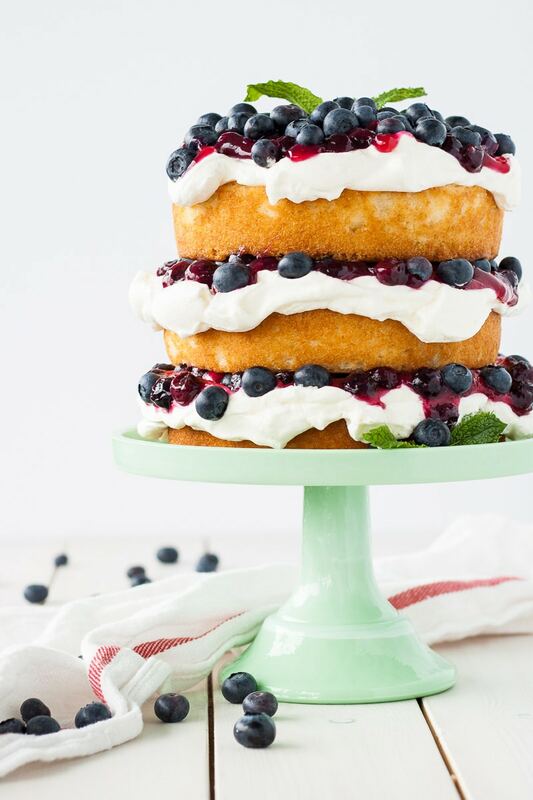 If blueberry shortcake wasn’t a thing already, you’ve definitely made it one. And good luck house hunting–I am feeling sympathetic stress for you! This is so gorgeous!! I’m traveling this weekend but would love to have been able to make this for 4th of July. 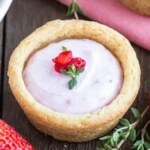 Definitely trying when I get back, looks so light and sweet and YUM!! 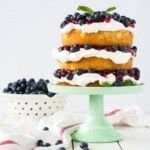 Totally dreamy blueberry shortcake Olivia! This is my kind of cake, since I am a terrible cake froster! I think I can definitely manage this one. And with all the gorgeous blueberries at the market, I just can’t wait to try! Perfect for the 4th! This is amazing! 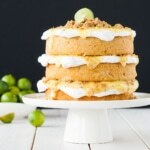 I seriously need this cake in my life (on my plate in my kitchen) very soon! I love fresh blueberries! Haha, thanks so much Renee! I wish I could send some your way!